Meijendel is the largest interconnected dune area in South Holland. The beautiful nature reserve extends between Scheveningen, The Hague and Wassenaar, and consists primarily of open dune landscape, lakes, forests and kilometres of long sandy beaches. In the centre of the nature reserve is a visitor centre owned by drinking water company Dunea, Meyendel pancake house and Monkeybos playground. The numerous cycle, hiking and riding paths make the dunes at Meijendel the perfect place to enjoy the nature of the Netherlands just a stone's throw away from the city. 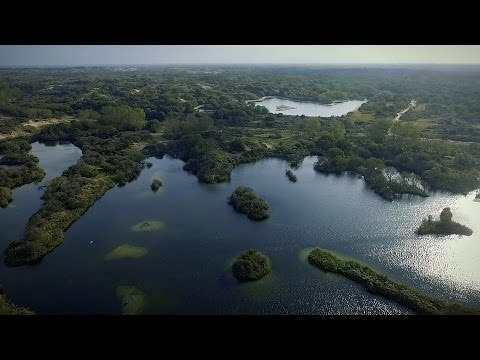 Meijendel Nature Reserve is characterized by damp dune valleys, open sand dunes, irregular lakes, dense pine forests and open access to the sea. Due to its varied landscape, Meijendel boasts an exceptionally rich diversity of flora and fauna. Various types of trees and over 250 species of birds can be found here. This ranks Meijendel in the top 10 of the most bird-rich nature reserves in the Netherlands. Other wildlife includes rabbits, foxes, weasels and deer, whose population continues to grow annually. Fjord horses and Galloways also roam freely in a fenced area around Kijfhoek-Bierlap. The large variation in landforms, vegetation and animal species makes Meijendel worth visiting in any season. Farm house Meijendel has been known since last century as the place for stabling horses, horse men sitting around the open fire place and delicious pancakes after pleasant hikes, cycle or horse rides in the surrounding nature. Lovers of Old-Dutch traditions can enjoy again part of that history. 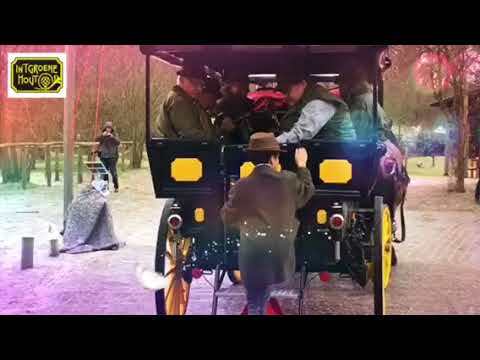 During various week days a horse carriage tour can be made in a Jan Plezier - a traditional carriage used by the elite of The Hague in the 19th century for pleasure drives - drawn by heavy forest horses from the Ardennes of the well known GreenWoods Stud/Stoeterij In 't Groene Hout in Wassenaar. Daily schedule can be seen on www.janpleziermeijendel.nl . The wind in your hair and your senses heightened: Meijendel guarantees hours of hiking and cycling pleasure for young and old! For hikers, a number of different hiking routes have been mapped out in Meijendel valley that take you past the most beautiful spots. Cyclists can cycle on the main route, part of the LF1 long distance cycle route that runs from Scheveningen to Wassenaarse Slag and Katwijk. It is also easy to do a circular journey via Meijendel, Waalsdorpervlakte, Clingendael, Haagse Bos and Den Haag Centraal Station (approximately 20 kilometres). The largest part of Meijendel is freely accessible for hikers and cyclists. Kijfhoek and Bierlap are the only areas that require a pass, which can be obtained from Zuid-Hollands Landschap. Day passes are also available from the Dunea visitor centre in the centre of the dune area, where various cycle and hiking routes are also on sale. They are also available for download via the Dunea website. De Tapuit is the perfect starting point for a day out in Meijendel. The visitor centre of drinking water supplier Dunea offers fun activities, exhibitions and excursions for young and old the entire year round. Furthermore, De Tapuit provides comprehensive information about the unique dune area between The Hague and Wassenaar. Are you looking for a lovely gift connected to nature? Then browse around the tiny shop full of books and other lovely items. Monkeybos is located nearby De Tapuit. Children can build forest cabins here, climb in trees, and there is a zip wire, lookout tower, massive water pipes that they can walk through and much more. Access to Monkeybos is free. Waalsdorpervlakte is an area in the Meijendel dunes near Scheveningen where over 250 members of the Dutch resistance were executed during the Second World War. Nowadays, Waalsdorpervlakte is one of the most important Dutch memorials of the war. Erepeloton Waalsdorp commemorates the victims during Remembrance Day, which is held each year on 4 May. Meijendel has various restaurants. Meyendel pancake restaurant - ideal for kids - is located next to De Tapuit. Under the water tower in Pompstationweg in Scheveningen you will find a lunch room and in Wassenaar a hotel-restaurant. During the summer months there are a number of beach pavilions at Zwarte Pad and Wassenaarse Slag. Dogs are only permitted in Meijendel if they are kept on a lead. Dogs are forbidden in the Kijfhoek and Bierlap areas. Bridleways generally correspond with cycle paths and are connected to the beach. Horse riding is only permitted on designated roads and paths. The beach at Meijendel is a must for those who love peace and quiet. There are only three beach entrances: one past the water tower, one level with De Tapuit and one at Wassenaarse Slag. Only the last entrance can be reached by car; the other two can only be accessed on foot or by bike. From Scheveningen, Meijendel is easiest to reach by bike (on route LF1) or on foot. Visitors can come by car to the pancake restaurant but should park at Wassenaarse Slag. From Den Haag Centraal Station is it possible to take the 43 bus to Leiden and get off at De Kievit stop. From there it is about a 20-minute walk to Meijendel.